There is quite a number of travelers in the island during weekends, but since I'm the local expert of Koh Lan, I'll take you to a more serene beach. 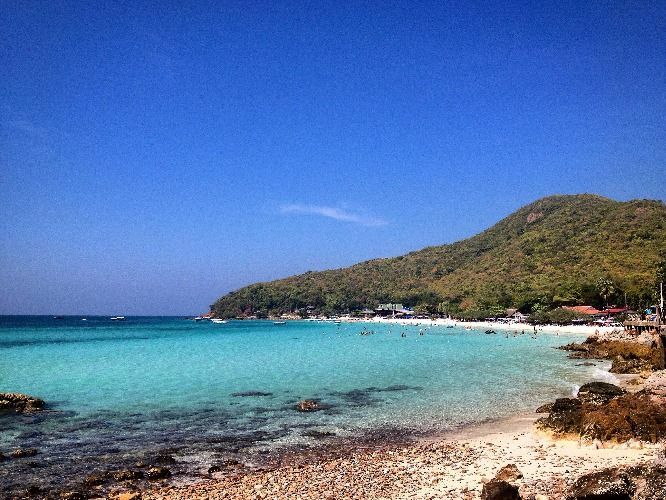 The beaches at Koh Kan are less touristy, comparing to beaches in Pattaya. You can ride a motorbike and observe the local surroundings and feel the salty breeze of the island. It's going to be fun.